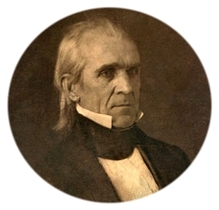 President James K. Polk was on a mission to expand the country westward. 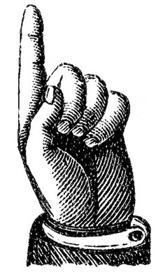 The term “divine destiny” had been used by journalist John O’Sullivan in 1839, later evolving into what came to be known as “Manifest Destiny”. Part of Polk’s plans for westward expansion involved taking possession of a vast amount of land under Mexican control and it would require a two-prong attack. John Fremont, accompanied by Kit Carson, was sent to the far west to stake a claim to California and Stephen Kearny was dispatched to New Mexico. In New Mexico, the governor fled Santa Fe (with lots of gold and silver) and Kearny’s troops easily secured Santa Fe without a single death. From there, Kearny continued westward to California to join up with Fremont. This article is no longer available for free at this site. It was re-written and enhanced, complete with footnotes and sources and has been published in the April 2018 issue of Digging History Magazine. Should you prefer to purchase the article only, contact me for more information. I invite you to check out Digging History Magazine. Since January 2018 new articles are published in a digital magazine (PDF) available by individual issue purchase or subscription (with three options). Most issues run between 70-85 pages, filled with articles of interest to history-lovers and genealogists — it’s all history, right? 🙂 No ads — just carefully-researched, well-written stories, complete with footnotes and sources.